Do you know the word, homonculus? Translated in latin, it means small human. In the movement and neuroscience world it means, the motor cortex region of the cerebrum. Each area of our body has a density of nerves that receive sensory information and send out motor information . There is A LOT of hip flexion and extension in yoga asana and in life. Sometimes, we can lose it. Some reasons for losing it are: habit, posture and injury (old or new) (foot, ankle or anywhere else really). Here is a mini functional asana sequence we came up with to increase awareness and efficient movement around the hip and pelvis. It focuses on dissociating the ball and socket movement from the movement of the pelvis. Meaning, can you stabilize the pelvis (or hemi pelvis in this instance) so that you can get pure juicy hip flexion and extension within the hip (femoracetabular joint)?. Because pure juicy hip flexion and extension IS SO IMPORTANT for power, efficient movement, & protection of joints up and down the chain. Nerve glides are a brilliant and easy to do solution to get some gentle movement, release some tension, hydrate some tissues and revitalize. These are mainly our adaptations to Dr. David Butler's neurodynamic techniques. Nerve glides, (these neck and arm ones especially) are great for after sitting for long periods, carrying kids, traveling, after being sick or immobile or after a tough workout. I especially like working in the neck mobility to get a deeper stretch and mobilize through the sticky spots between the neck and shoulder. I am very excited and proud to be presenting "The Missing Link: Yoga as a Rehabilitative Tool for Youth Athletes" on October 19th at the Children's Hospital of Philadelphia' Sports Medicine Conference. This talk will focus on yoga as a self regulation practice to manage the stress response in youth athletes. The goal of the talk is to teach yoga through the biopsychosocial model and give these practitioners yoga tools to bring back to their clients to facilitate improved breathing, mindful alignment and mindful movement practices. Listen in as Diana and Francesca discuss why we shouldn’t mula bandha all the time, why any amount of urine leakage isn’t “normal” and how breath and leg alignment can impact our pelvic floor function. We also get into the pelvic floor relationship to hip and low back pain, and strategies for yoga teachers to include the pelvic floor in asana. Restoring PostPartum Breath to Facilitate Postural Change: The Tools I use. Here we are... Straight from the chaos of a mother’s closet. I am literally hiding in my closet writing this. I sit here amongst the boxes, bins, and bags of clothes (and shoes) that used to fit, or may one day fit again or maternity stuff I am done with and nursing gear that is temporary. This to me just highlights the level of transition in this glorious postpartum journey. So I found myself pondering the question… is it ok to sip coffee during my pranayama practice? Because after 8 months of nausea and vomiting while carrying my beautiful baby boy I would really, really, Really like to sit down and enjoy a hot, steamy, perfect cup of coffee in the only quiet 5 minutes of the morning. Therefore, the choice is a tough one… breath or coffee. The LOTUS life - The muddy and murky recovery of postpartum spirit, mind, and body. My name is Emily. I am a mom, yogi, physical therapist, an educator and a business owner, and co-director of the Threes Physiyoga Method. I have been blessed with three amazing teachers; my six year old son, 4 year old daughter, and our new addition a sweet little baby boy this past spring. I am writing straight from the trenches of mom life. I have worked and taught in hospital settings, private practices, yoga schools and studios, colleges and communities, but this blog is a personal journey. Why you need a RETREAT to REFILL (based upon why I know I need one). It doesn't stop, and it feels like too much. You're spinning in a world of teaching classes and privates, commuting, eating on the run and balancing your home life. How are you supposed to dig into your energy reserves on a daily basis to share that energy with your students without the occasional self care refill? In response to: "Study Finds Yoga Injuries Are on The Rise": A Physiyoga Perspective. We'd like to share some thoughts in response to this recent Yoga Journal article. An article released last November by the Orthopedic Journal of Sports Medicine reviewed statistics on yoga injuries from 2001-2014. The findings revealed that injuries more than doubles in that time with a total number of injuries over 29,000. That's a problem for an industry and practice that is centered around health and well-being. What does cueing level hips mean? A conversation about hip-pelvis dissociation. Insights from a student: the wonky coffee line-up. Who are we: 3 experienced physical therapists who are blending their clinical experience with their yoga knowledge to improve the understanding of optimal and suboptimal movement in yoga practice. Who it is for: Yoga teachers who are looking for a greater understanding of biomechanics. This knowledge can then be applied to their own practice and their teachings. Why should you do it: Having completed a 200-hr basic YTT you may feel hungry for more anatomy and movement knowledge. This course gives you that. It is what you have been waiting for..
What is it: An advanced 100-hour YTT. Pre-requisite: YTT 200hr certificate. 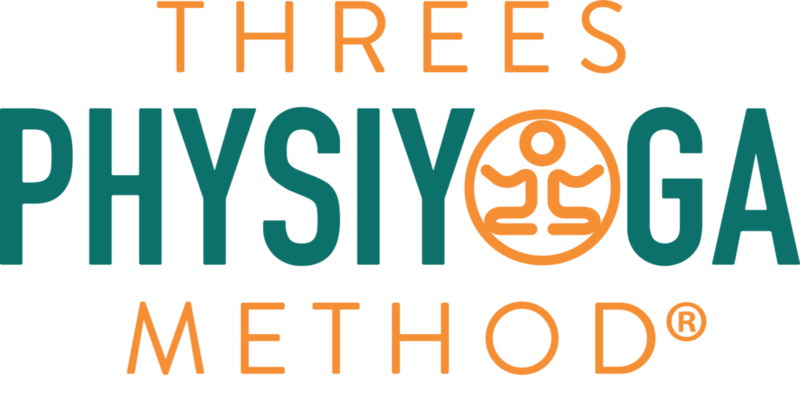 What it consists of: 4 modules, an asana-based assessment tool, learning how to SEE the body move, improvement and growth of knowledge foundations, learning how to IMPROVE suboptimal movement patterns and progress practice and teaching safely. When will you use it: All the time.... during your own practice you may feel enlightened as to why your hip is always tight in one spot. During your teaching you can assist improvement in all sub-optimal movement in your clients whether in classes or private 1:1 sessions. Where: Next immersion (2x5 days) Feb 26th - Mar 8th 2016, Full course (4 weekends) Fall 2016, Kula Yoga Project, New York.